One of the main goals of the digital piano is to simulate the traditional upright piano without the hefty weight and lack of portability. And one of the most important factors in recreating the authentic piano experience is the feel of the keys. The best digital pianos today have weighted keys, and many even have graded hammer action. That means that the lower keys feel heavier than the higher keys, just like how they would feel on an acoustic piano. In this buyer’s guide, we break down the best keyboards with weighted keys. The pianos detailed here offer some of the best real piano key experiences on instruments that won’t cost an arm and a leg. The Yamaha DGX-660 replaces the awesome DGX-650, and it has many selling features that make it a contender for the best weighted keyboard available. 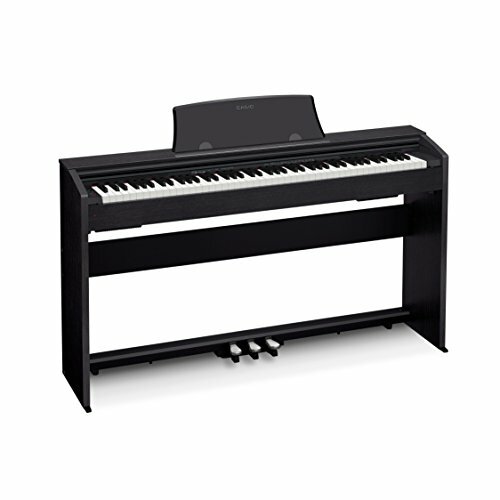 When it comes to key action, the DGX-660 has what Yamaha refers to as its Scaled Graded Hammer action, allowing you to play soft, medium and hard in a pretty close simulation of the acoustic piano experience. 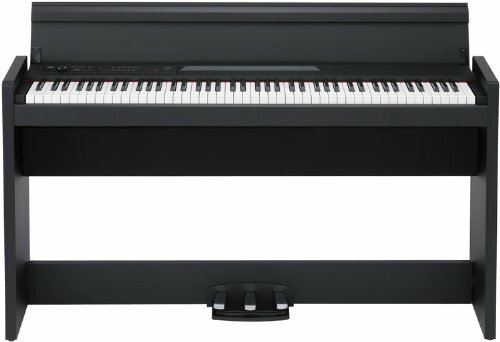 The lifelike resistance of the digital piano keys on this model will be a big help to students looking to build technique and muscle memory or for pros who want a near seamless transition between acoustic and digital piano. The DGX-660 also adds increased polyphony, an integrated microphone input, Yamaha’s Piano Room feature, and enhanced digital effects. 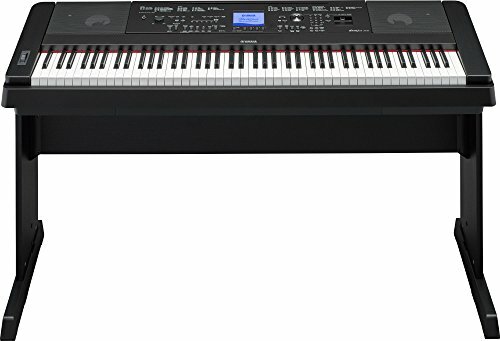 Long known for producing some of the best weighted-key keyboards on the market, Casio’s latest upgrades to the Privia line of digital pianos live up to the company’s reputation for excellence. The Casio Privia PX-770 features good key heft and nearly lifelike resistance under hand. This keyboard also uses actual hammers instead of springs, giving a mechanical sensation just like a real piano. But the biggest feature that makes this one of the best 88-key weighted keyboards on the market comes from the top-of-the-line sensor technology. The Tri-Sensor Scaled Hammer Action Keyboard II built into the line means that there are three electronic sensors under each key instead of the one or two you may find in other brands. This allows for repetitive depression and note playing, without having to release the key to its original position. If you’re looking for one of the best weighted keyboards with 88 keys that also has plenty of digital functionality, look no further than this addition to Yamaha’s popular P-series line. 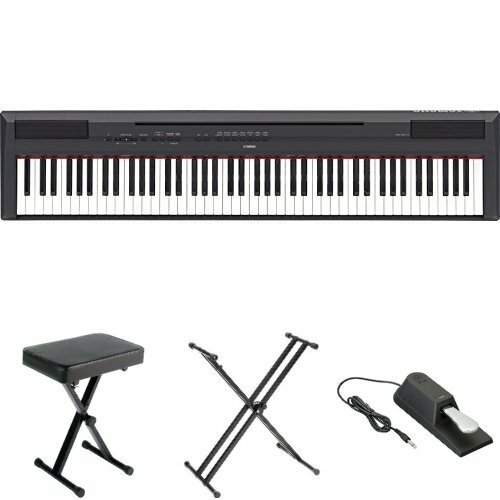 The Yamaha P-115 is an 88-key digital piano with a very lifelike weighted keyboard and Yamaha’s signature sound. Featuring the same Yamaha Graded Hammer Standard (GHS) action I mentioned earlier, there’s also plenty of digital sounds, effects and programmability to this model combining the best of both the acoustic and electric piano worlds. This model also features Yamaha’s acclaimed Pure CF sound engine, capturing the beautiful sound of Yamaha’s famous acoustic grand piano. Bonus feature: the black keys have a comfortable matte finish which equals less slippage under your fingers when playing. Korg also has one of the best available weighted keyboards with the Korg LP-380 model. Korg’s Real Weighted Hammer Action 3 responds realistically to your playing, creating a dynamic tone and volume range that gets pretty close to a traditional acoustic experience. With the Korg brand you know you’ll also get some of the most realistic acoustic piano tones available, including all of the traditional sounds. Another interesting feature is “Layer Mode” which allows you to layer two sounds together for interesting accompaniment experiments. Coming in last but certainly not least, the Kawai ES110 is the best keyboards with weighted keys that’s also extremely light and portable. And since it’s a Kawai, the keyboard itself is very comfortable and realistic-feeling. The key action on most of the Kawai keyboards is good, but the ES110 is superb. Kawai’s Advanced Hammer Action IV (AHAIV-F) is wonderfully sensitive and about as true to life as I’ve found in a keyboard that’s priced this well. Like the Korg, there’s a dual mode for stringing together tones, but the Kawai also has a split mode which allows you to play two separate tones on either the right or left side of the keyboard. Another huge benefit of the ES110 is its portability. Weighing in at only 26 pounds, the ES110 is easy to cart around to gigs or to a friend’s house for jams. Overall this easily one of the best 88 key weighted keyboards for home or stage. Overall there are a ton of amazing options for digital keyboards on the market so you shouldn’t settle for subpar key feel. After all, it’s the realistic weighted key action that will have you moving from the digital keyboards to the traditional acoustic versions with ease. Variability in tone and volume through gradual depression of the keys is an important skill to develop. And let’s not forget that your fingers need a workout too. The easiest way to develop these skills and muscle memory is with the weighted resistance featured in the models above. So go get your hands to the keyboard gym and get to making some beautiful music!